Here is a video game I made in 48 hours for the Ludum Dare competition. It is called You Don’t Fit. Thanks to everyone who playtested, especially Kevin, Alice, and Yakul. By the way: This game supports user-created levels using Inkscape. Check the comments below for instructions on how to do this. This entry was posted on Sunday, August 21st, 2011 at 8:53 pm	and is filed under I Made This, Ludum Dare, Video Games. You can follow any responses to this entry through the RSS 2.0 feed. You can leave a response, or trackback from your own site. To make your own custom level: Copy the file level0.svg out of the Internal/ folder (or on a mac, right-click the app and select “Show Package Contents”) and put this file in the same folder as the app or exe; you can then edit this file in Inkscape to make your own puzzles. 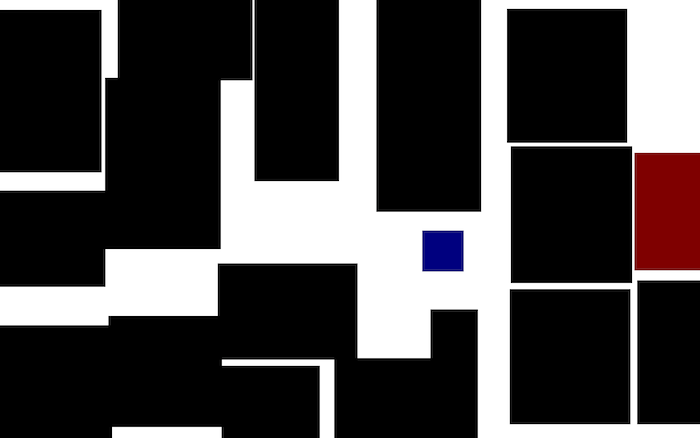 It places blocks anywhere it finds a rectangle; the “kind” attribute is used to tell teh game what kind of block it is. To place blocks of a special type, add a “kind” attribute using the xml editor (edit menu) or duplicate blocks that are in the default level. There is a “slider” kind that isn’t used in the game. By the way, if you edit your level0.svg file while the game is running, the game will (should) automatically reload without you having to restart the game. I think I’m pretty happy with those results! Hopefully I’ll do this again next time. location if your adversaries are building a bluff.